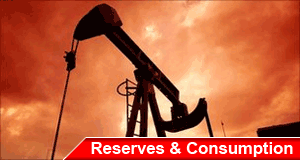 This page is intended to provide a guide to global and regional data on rates of the consumption of petroleum, rates of discovery and estimated reserves for future exploitation. Links to data sources used by the US and other governments, their agencies, the Petroleum Industry, Economists and other interested parties. Our audience includes university students studying petroleum and persons trying to make sense of the mass of varied and confusing information available on petroleum resources, the rates of their discovery and exploitation and where most of the oil of the world is located, and the rates at which reserves are drawn down. As this page grows, it will show and compare maps of oil field locations, and list the rocks that are producing petroleum in these fields. 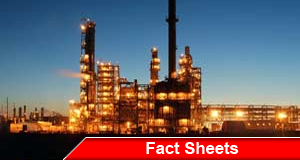 questions will be posed that can be answered from this page and will highlight where most the world oil is! 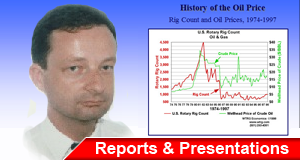 For instance, did you know that all the oil reserves currently believed to be available in Nigeria are equivalent to a large field in Iran or that if the best estimates of the reserves in the Wildlife Reserve of Alaska are correct, then the US could consume these reserves in 1.5 years or the World in 5 months? 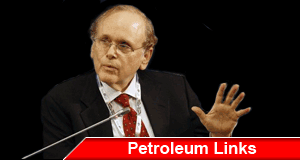 As an addendum we recommend Dr. Daniel Yergin's book "The Prize: The Epic Quest for Oil, Money & Power" and his recent volume entitled "The Quest: Energy, Security, and the Remaking of the Modern World"